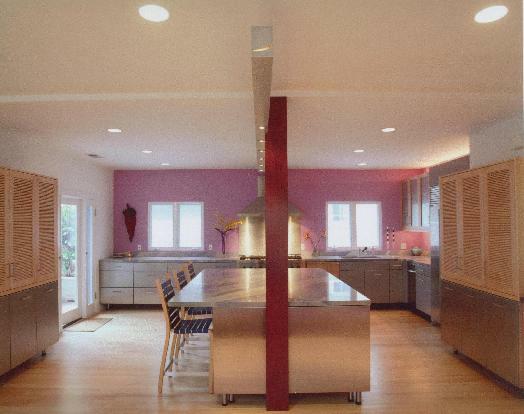 Architecture by Crane & Co. Inc.
An extensive remodel of this home was designed and constructed in three phases begining with the master bathroom, followed by a new kitchen and family room with a living and dining room in the final phase. 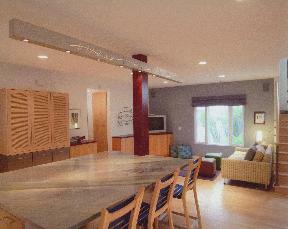 A key feature of the kitchen design was a custom laser cut stainless steel light fixture inspired by ocean imagery. 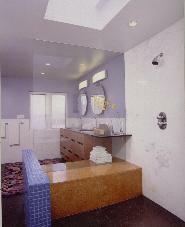 An open shower with white marble walls includes a bench bisected by a glass divider in the master bath.